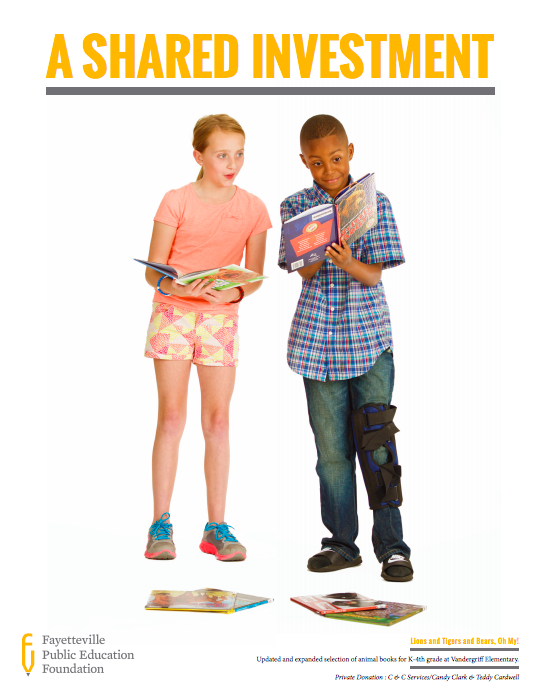 In the past year, FPEF distributed $385,000 in grants, scholarships, donations and corporate gifts through the support of community partners dedicated to helping our children succeed. Check out our annual report to learn more about the innovative and pioneering programs this year. Show your support for our teachers and students. 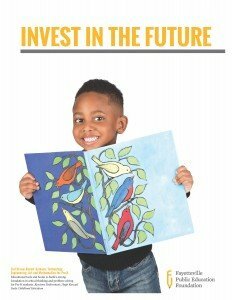 In the past year FPEF distributed $339,000 in grants, scholarships, donations and corporate gifts through the support of community partners dedicated to helping our children succeed. Check out our annual report to learn more about the innovative and pioneering programs this year. In the past year FPEF distributed $276,000 in grants, scholarships, donations and corporate gifts through the support of community partners dedicated to helping our children succeed. 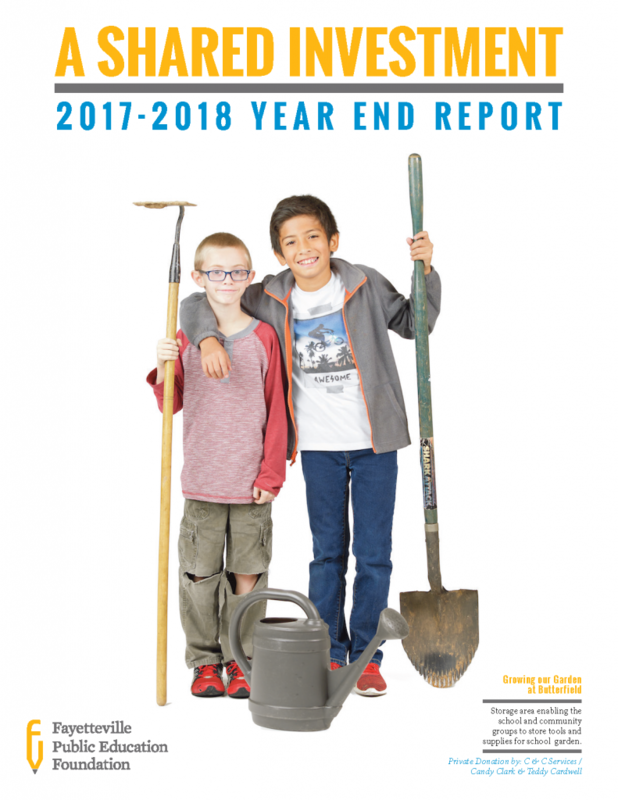 Check out our annual report to learn more about the innovative and pioneering programs this year. 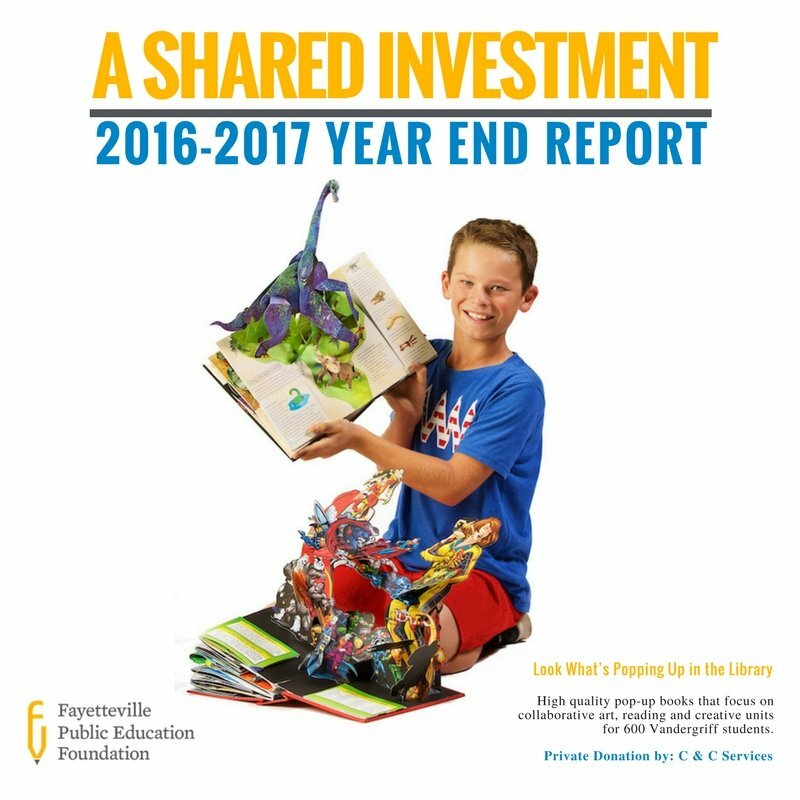 In the past year, $542,000 was distributed to the Fayetteville Public Schools through support from parents, alumni and community partners who are dedicated to helping our children succeed. Check out all of the exciting new programs for 2014-2015!